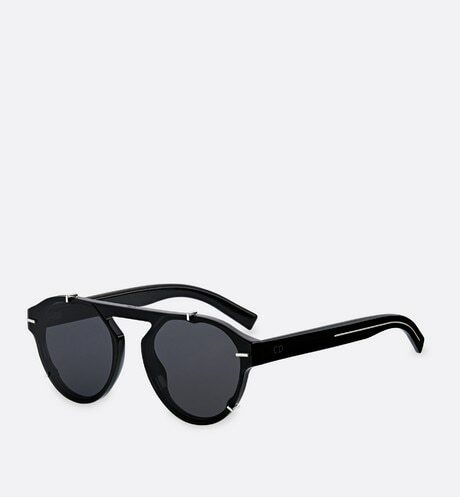 "BlackTie254S" pantos shape sunglasses. 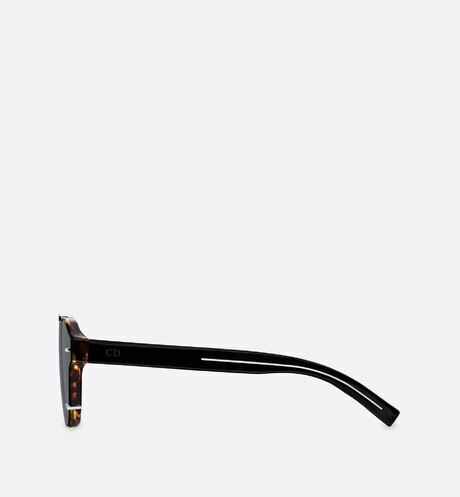 The virtually flat grey lenses are mounted on the havana acetate frame and attached with fine silver-tone metal prongs that highlight their shape. 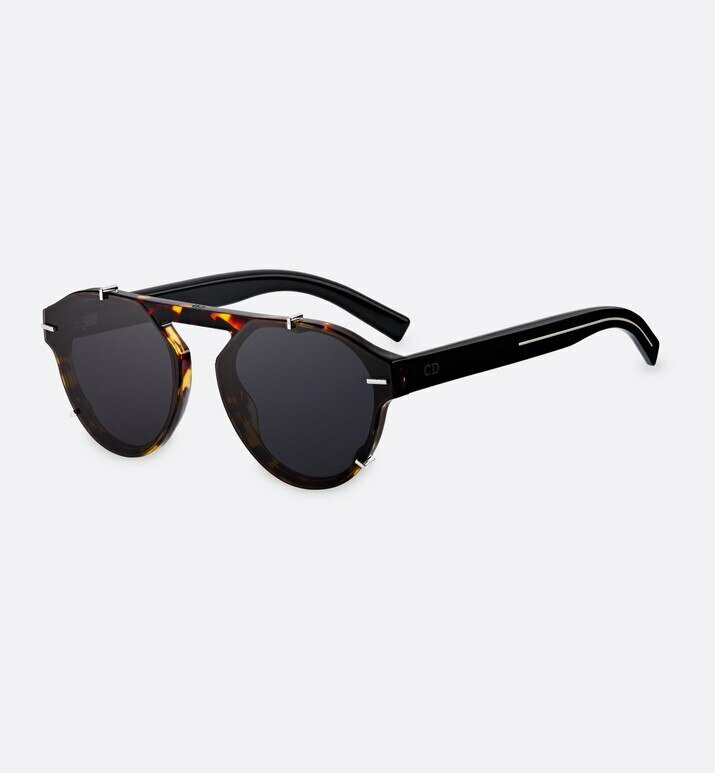 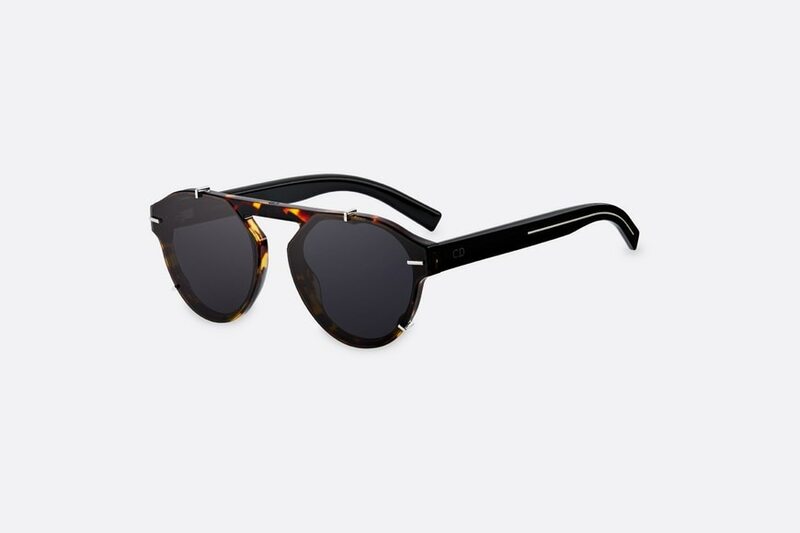 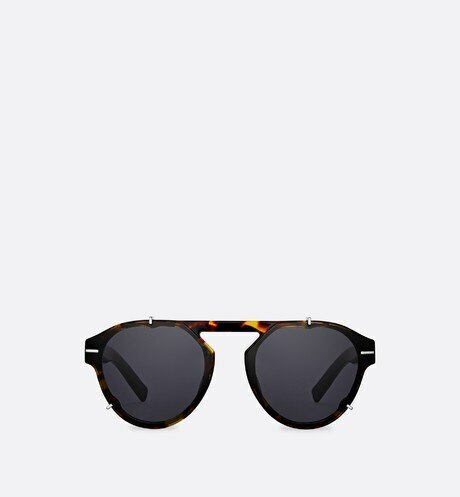 The black Optyl temples are decorated with the emblematic Dior Homme cut.